The Cape of Good Hope is a rocky headland on the Atlantic coast of the Cape Peninsula, South Africa. 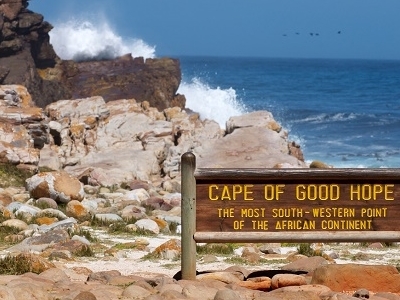 The Cape of Good Hope is at the south-west corner of the Cape Peninsula, about 2.3 kilometres (1.4 mi) west and a little south of Cape Point on the south-east corner. Cape Town is about 50 kilometres to the north of the Cape, in Table Bay at the north end of the peninsula. The peninsula forms the western boundary of False Bay. Geologically, the rocks found at the two capes, and indeed over much of the peninsula, are part of the Table Mountain Group, and are formed of the same type of sandstones as Table Mountain itself. 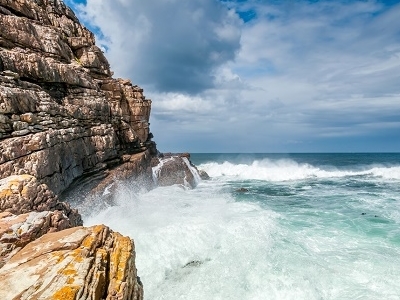 Both the Cape of Good Hope and Cape Point offer spectacular scenery, the whole of the southernmost portion of the Cape Peninsula is a wild, rugged, scenic, and generally unspoiled national park. Here's the our members favorite photos of "Coastal Areas in Western Cape". 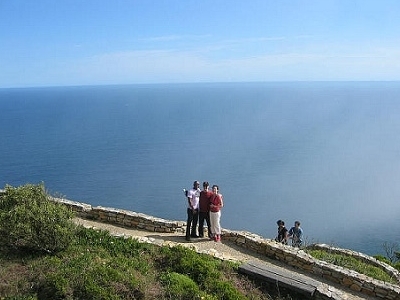 Upload your photo of Cape Of Good Hope! Get in touch with 3 Touristlink members who want to visit Cape Of Good Hope or with Meinenata, Kezia Mercellina and 4 others who already have been here.